Raised or sunken? --I created this on a whim last year for my old Fotolog site. It was made from my daughter’s single footprint in black sand. 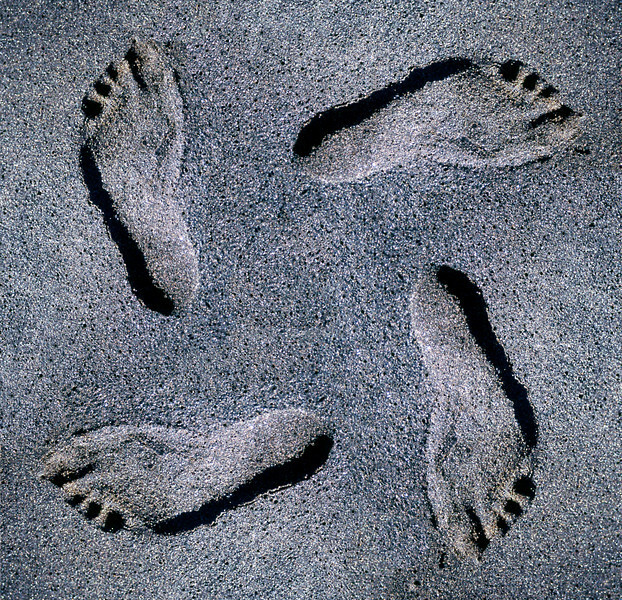 I did a quick Photoshop splicing job and rotated the same exact footprint 3 more times. What is interesting is the illusion of the print being recessed or raised. As I gaze from one footprint to the next, they seem to change from raised to sunken. Do you find that for you too? Again, each print is identical and IS sunk into the sand!